Egyptian visa is additional and can be obtained online before you travel, or on arrival for British Passport holders. Enjoy the relaxation of your complimentary airport lounge before flying direct with Egyptair from Heathrow to Luxor, arriving the same day. Upon arrival you will be met and transferred by private vehicle to the ship to embark. Enjoy dinner on board followed by a belly dance show and Egyptian folkloric show. After your included breakfast, enjoy your morning tours to the West Bank visiting the Valley of Kings & Queens, the Temple of Queen Hatshepsut at El-Deir El- Bahari and the Colossi Memnon. Return to the ship for lunch as you sail to Esna. Relax on the Sun Deck, taking in the sun or a dip in the pool. In the eveing enjoy the Captains Welcome Cocktail party. The ship remains overnight at Esna. Cross the Nile from Luxor where you will visit the Valley of the Kings which includes the tombs of the Thebian rulers. Next, tour the mortuary temple of Hatshepsut, the only woman pharaoh to reign in ancient Egypt (in the new Kingdom). 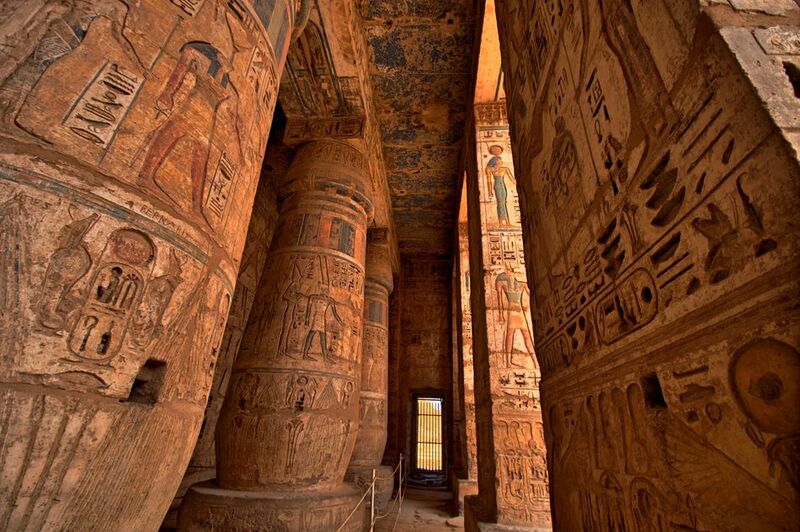 Her temple, with its impressive architecture, is traditionally associated with Hathor, the goddess of love and joy. It was formerly surrounded by tropical gardens with plants imported from Somali land. 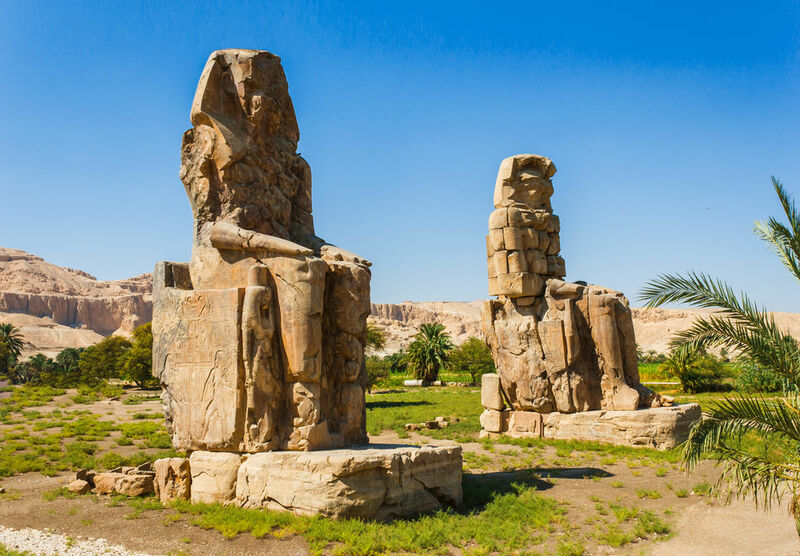 Later, tour the Valley of The Queens and the famous Colossi of Memnon, which once guarded the entrance to the mortuary temple of Amenhotep III. The temple was destroyed by an earthquake but the Colossi still remain. The ship sets sail to Edfu. 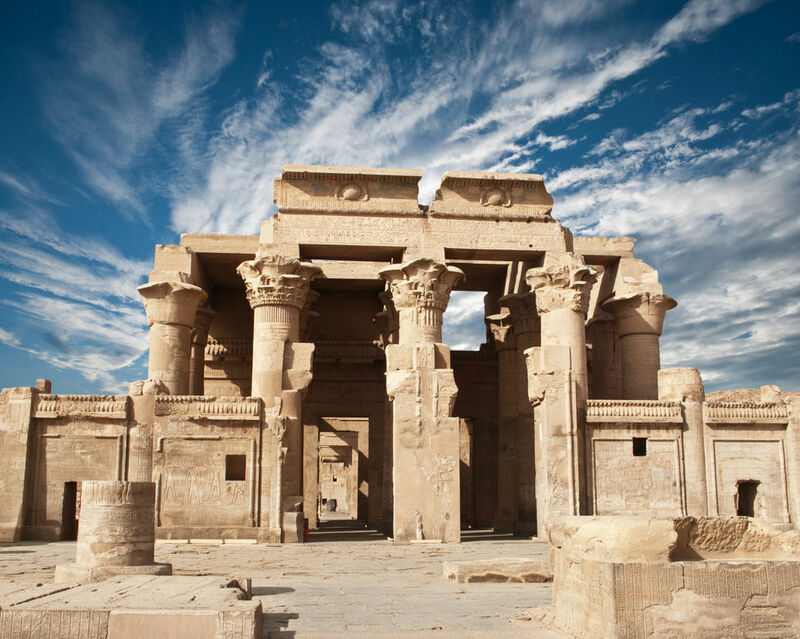 Enjoy the tour to visit the Horus Temple and then return to the ship as it sets sail to Kom Ombo. After lunch, enjoy the rest of the day and prepare for the Egyptian Galabeya Party later in the evening. The ship remains in Kom Ombo. Edfu lies 100 kilometers south of Luxor and is the site of one of the greatest and best preserved temples of ancient Egypt. The temple, completed during the Ptolemic age (305-30 B.C. ), was dedicated to Horus and provides a wealth of information through its inscriptions, which describe the founding and construction methods of similar temples, as well as daily rituals and myths of ancient times. The ship sails to Aswan, and after your breakfast, visit the High Dam and the Temple of Philae. After lunch back on board, the afternoon tour includes a trip on the Nile by felucca and a visit to the botanical garden. Enjoy afternoon tea on board and rest of the day at leisure as the ship remains in Aswan. Aswan, Egypt's smallest governorate, was the country's premier winter resort from 910 to 24 BC, offering natural beauty, a relaxed and pleasant atmosphere and a warm, dry climate. The old dam was built by Sir W. Wilcock on behalf of the British authorities in 1898. It was constructed from granite quarried in the Aswan area and the official opening took place in 1902. In the 1960's, a new dam was built by the Egyptian government. Also in Aswan, the Unfinished Obelisk gives us a great deal of information about how granite obelisks were carved in ancient times. The existence of granite in the Aswan area was of particular interest to the ancient pharaohs since it provided them with a ready source of material for their building projects. For this delightful excursion, you will sail by felucca (Egyptian-style sail boat), to the small granite island called Kitchener of the Botanical island. You will also visit Elephantine Island. 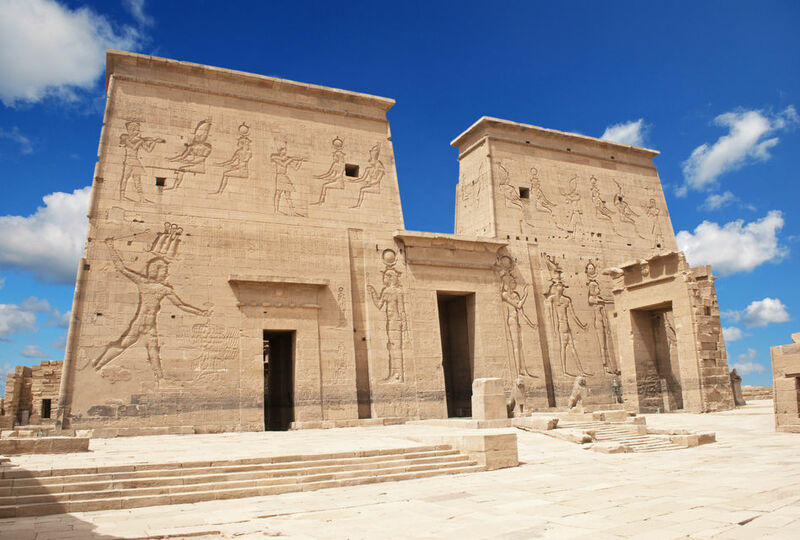 On the island of Philae, now situated between the High Dam and the "old" dam, is the sacred complex of monuments built for the cult of Isis and Osiris. Philae was built under the Ptolemies and finished in Roman times. Relax on board today as there are no included tours, giving you time to reflect on the ancient history or maybe chat to the resident Egyptologist. In the evening enjoy a Nubian show. Visit the Temple shared by two gods Sobek & Haroeris in Kom Ombo, and then sail to Edfu and Esna. 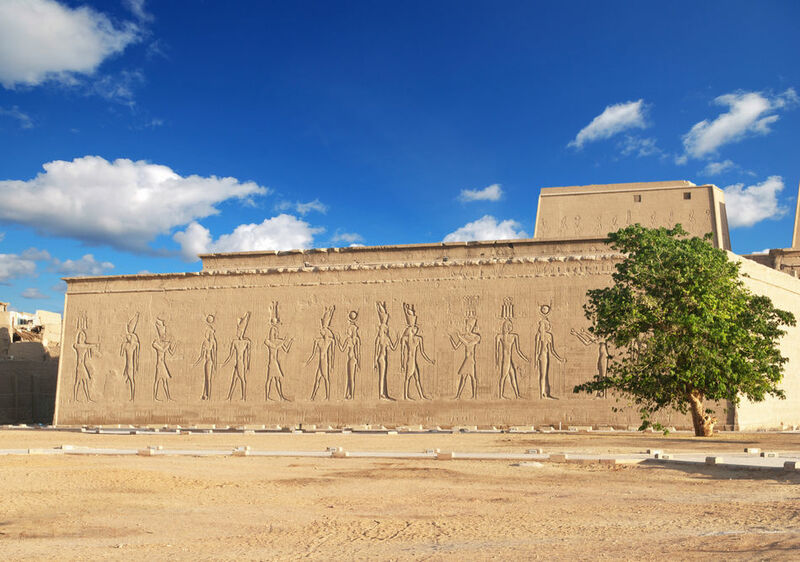 Today's morning tours sees you visit the East Bank to see both Karnak and Luxor Temples. Return to the ship for lunch and relax on board. In an unforgettable excursion, you will visit the Luxor Temple, which was built by the two great pharaohs, Amenhotep III and Ramses II. After touring the temple, you will travel along an avenue of ram-headed Sphinxes, extending for about two miles, which link Luxor Temple with Karnak Temple, the center of worship in ancient Egypt. No site in the world makes a more overwhelming and lasting impression than this "Temple of all Temples." Disembark the ship and take your included private transfer to the airport for your direct flight to the UK on Egyptair, arriving the same day. The Sonesta St George I is the newest ship in the fleet and contains 47 deluxe cabins and 10 suites. It also offers a full-service spa and fitness centre.